Peoples Library Tribute Program offers a thoughtful and distinctive way to honor special people and important milestones in life. A birthday, anniversary or special occasion. A volunteer, club official or board member. Someone special so their interests can live on. With a gift of at least $25, a new item will be selected in honor of the person or event of your choice. A bookplate will appear in the item to honor the individual or event of your choice. 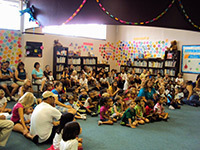 Your donation to the general fund helps provide core library services such as materials for borrowing, online resources, programs and events, public computers and more. Gifts of any size are always appreciated. Your gift to the endowment fund helps to ensure that library service is in the community for future generations. Endowment monies are invested by the library and interest earned is used to support library efforts on an ongoing basis.An acknowledgment of your gift will be sent to the individual you name, and you will receive a letter acknowledging your tax deductible gift. Peoples Library is a 501(c)(3) nonprofit organization, contributions to which are tax deductible to the fullest extent permitted by law. 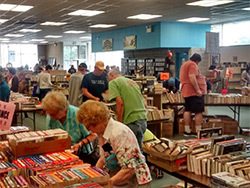 Your donation to the general fund helps provide core library services such as materials for borrowing, online resources, programs and events, public computers and more. Gifts of any size are always appreciated. Your gift to the endowment fund helps to ensure that library service is in the community for future generations. Endowment monies are invested by the library and interest earned is used to support library efforts on an ongoing basis. 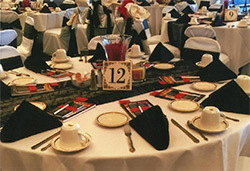 Each May, a dedicated group of volunteers organize a ladies' luncheon with great food, a guest speaker or presentation and a chinese auction. 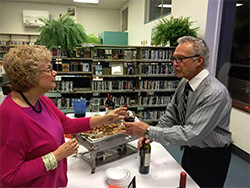 Co-chaired by Library Board members, a wine tasting event featuring five stations of food and wine pairings and a huge chinese auction is offered every October. It is indeed a night to remember. Peoples Library has teamed up with Stanson Paper Processing. Everyone in the community is encouraged to recycle paper products through this innovative program. 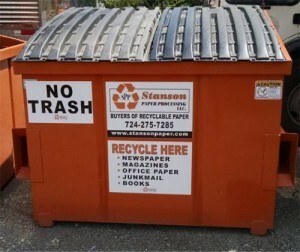 Local involvement can help save landfill space, clean up the environment, and earn money Peoples Library by taking recyclable paper to the orange paper retriever located in the parking lot behind the New Kensington Library. On a regular basis, Stanson Paper Processing empties the bin and Peoples Library earns revenue from the contents. DID YOU KNOW? One ton of recycled paper saves 3.3 cubic yards of landfill space; uses 64% less energy, 50% less water, emits 74% less air pollution and creates five times more jobs than one ton of paper products from virgin wood pulp. 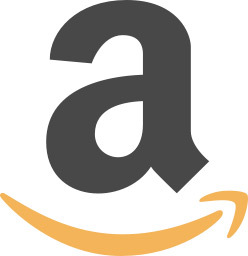 Peoples Library maintains a wish list at amazon.com for special projects and other items that we do not include in our regular budget. If you are interested in purchasing an item off our wish list, please visit the Peoples Library Wish List. Through the United Way Contributor's Choice Program, you may choose to support the library directly through payroll deduction. Peoples Library's code is 971.